One managed 802.11n system for picture-perfect HD IPTV distribution. The Ruckus Wireless MediaFlex 7000 Series series is the first carrier-class 802.11n multimedia system designed to reliably distribute High Definition (HD) IP-based video (IPTV) over Wi-Fi to every corner of the home. 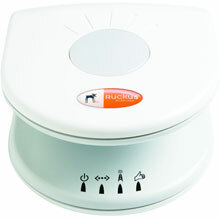 The Ruckus MediaFlex 7000 Series is composed of the Ruckus MediaFlex 7811 access point and the Ruckus MediaFlex 7111 adapter. Installed in minutes, the Ruckus MediaFlex 7000 Series helps carriers eliminate costly and cumbersome cabling within subscriber homes, speed installation times, and enable robust remote management. The MediaFlex 802.11n access point combines innovative, patentpending smart antenna and traffic management technologies to break down the barriers that have prevented a single Wi-Fi network for supporting voice, video and data in the home. The MediaFlex 7811 gives broadband operators a single system that reliably extends multimedia services throughout the home over standard 802.11n (5 GHz) Wi-Fi while delivering unprecedented visibility into and control over subscriber Wi-Fi environments. The Ruckus 901-7811-UN01 is also known as RUC-9017811UN01	or 9017811UN01	.